This machine is designed to weld T-beams by feeding them through a work cell. The cell consists of two inverted robots using the twin wire welding method. 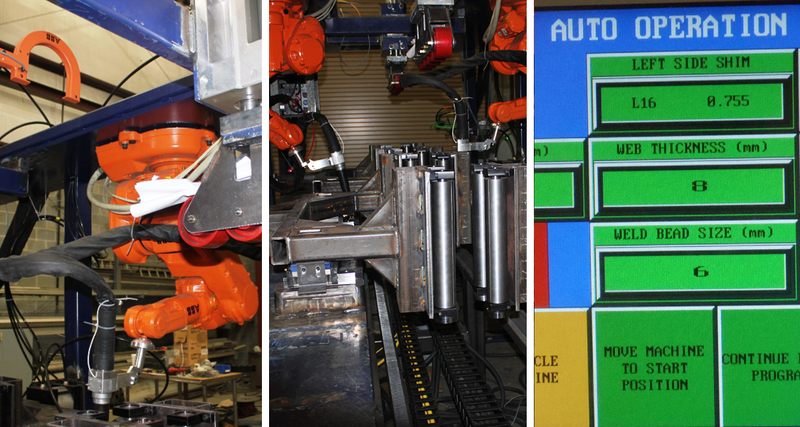 Optimize the automation process and minimize product variation, thus producing quality, repeatable welded components. Successful. Reduced welding time by nearly 70%. The employees of NAVUS Automation utilize technology and innovation to make our customers more productive, safer and to make their companies more profitable. These are the standards we will use to measure the quality of our efforts and provide for continual improvement.